The Princess Guide takes a fun story and blends strategy RPG mechanics with real time game play into a rockin’ good time. In this game you take on the role of an accomplished and famous knight, looking for new purpose in life. Teaching is what ends up bringing you purpose and the journey starts with guiding one of four princesses and exploring the world. 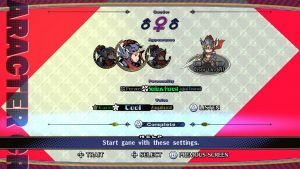 While you will spend time as your chosen princesses (which can be previewed on NIS America’s website), you also play as your created character with hired mercenary characters in battle. The more commanders that you have access to will allow you to change up strategy, exploration, and battling. 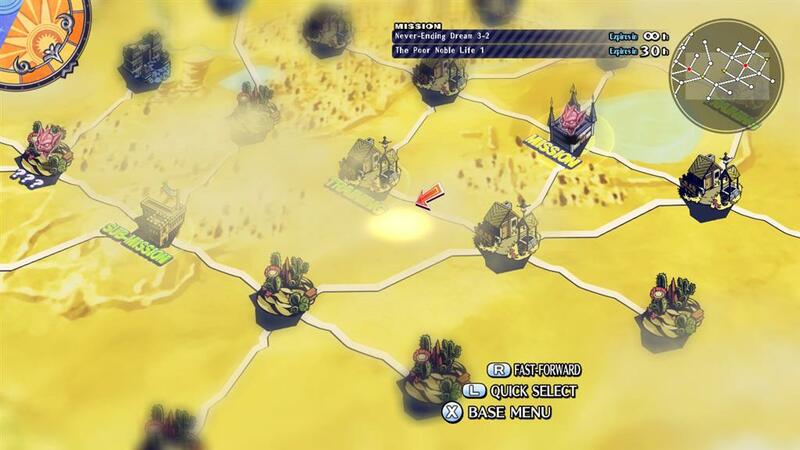 The Princess Guide is split into two large areas of gameplay: Overworld and Battling. Overworld lets you use items, assign/recall commanders to missions, equip people who aren’t currently in the field, upgrade weapons, train your princesses, engage in a sort of arcade game for training princesses, and go on missions yourself. It’s also where the story happens, but it’s mostly skippable if you don’t care about it and just like the gameplay. That being said the game’s story has some depth, fun world building, and likable characters. 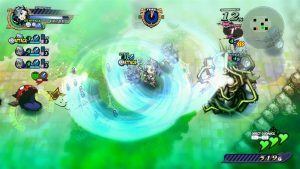 Battling involves running around with your commander and troops, attacking enemies akin to something like Diablo, triggering abilities that use the EX gauge and are tied to cooldowns, using troops to take over Relics which provide a benefit if take over them. However, if you don’t own one you may suffer detrimental effects. Direct Guidance also makes its appearance during the battles. What Direct Guidance does is during the battle let you choose to Praise or Scold your Princess. Reading the mood of the princess and the level you’re in will help when choosing one over the other. Providing good guidance can grant healing, defense, and attack boosts, so applying the right guidance to the right situation can lead to a successful mission. It is also how the player gain Knowledge Materia. Knowledge Materia is how the princesses level up, increasing their stats and options for units in their squads. Leveling only occurs through training your chosen princess with knowledge materia. Roughly this will constitute your core game play loop: equip, plan, and assign people to battles on the overworld, fight in the individual battle sequences, use your Direct Guidance to “improve” your princesses play. If the latter is done well, this will lead to knowledge materia which then will let you level up your princesses. Wash. Rinse. Repeat.This system doesn’t apply to mercenaries or the player’s own character. Sorry, you’re just not that fabulous. 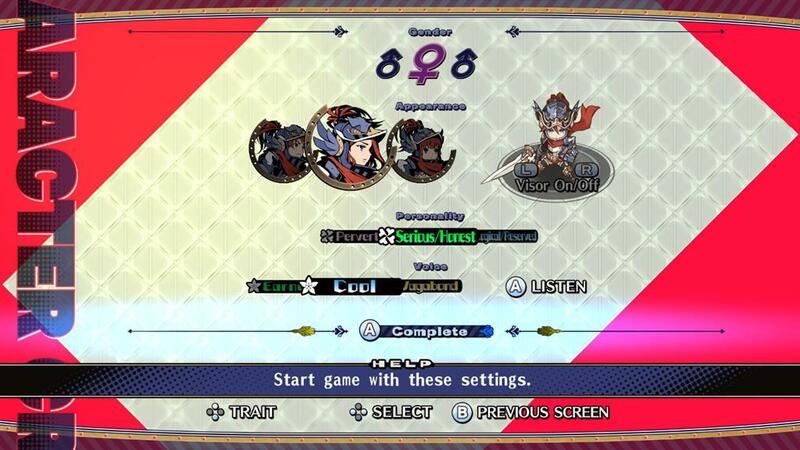 Visually, The Princess Guide runs well and the graphics are well suited to the game. 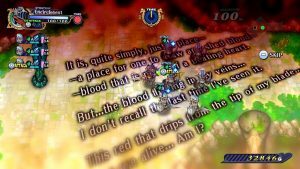 Use of text on some of the levels pass information along in a manner that reduce’s the game’s prose and shows off some the game’s use of visually interesting. The anime aesthetic pairs well with the quirkiness of characters and story. Voice overs are provided in Japanese and the characters do comment at times in battles. It’s very well done. The sound track is peppy, but fades into the background enough so it does not distract the player. The characters do have a bounce to them while delivering their story lines. While initially annoying the bounce grows on you as part of the game’s exaggerated charm. Display quality does not degrade regardless of being docked or in handheld mode and the Switch handles the game well overall. Handheld mode does lack touch screen integration but being a controller based game this is not an issue as button mapping is clean and easy to use. Spending some time with the game is the best way to experience the fun of The Princess Guide. It has tons of game play to offer and a little something for almost every type of gamer. Strategy fans will like experimenting with the best deployment of commanders and units on the overworld map in addition to the other nuances of play. Action fans, will love the direct combat and slight difficulty skew as they train, and JRPG fans will love the story and characters.